Hi. This is the "Home Page" of Kent Radek and Liao Shi. I'm in the process of updating the page, but it might be a while before I finish. So, in the meantime, I'm putting a few new links here to give you a peek at what's to come. 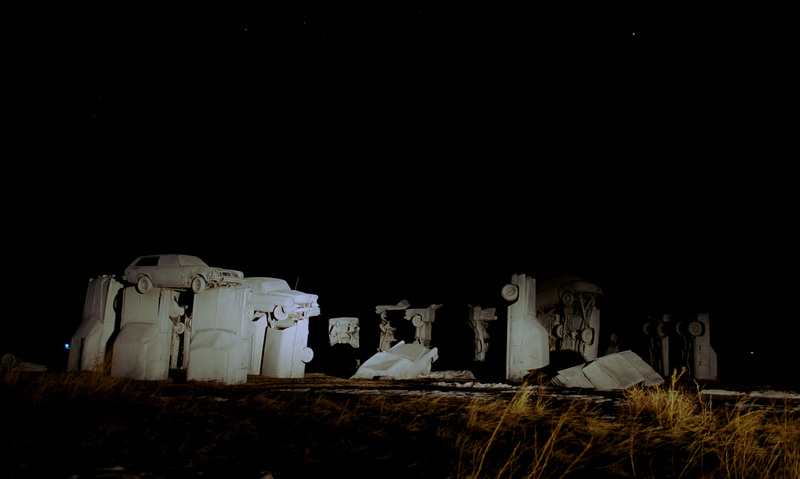 NEW: Click here for one of my Carhenge photos. NOT NEW: gooBlog, my very own continuous extrusion of objectionable material. Well, that's what I'm aiming for, anyway. Check out my growing DVD Database. Give my experimental Photo Library a whirl. It's programmed in Python using "pickled" data structures as databases and an HTML class hierarchy of my own design. I'm going to be transitioning this to PHP/MySQL, as I've found this to be quite well-suited to this sort of purpose. NOT NEW: Our calendar, courtesy of myPHPCalendar. You'll witness first-hand how boring our lives are. 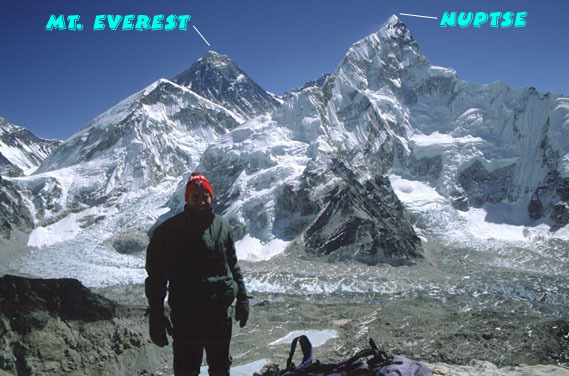 While I don't have enough time to be organized, even in a minimalist sense, my recent trip to Nepal fits neatly into a little compartment for the purposes of this web page. So if you came here looking for nothing more than a gallery of pictures from the trip, look no further. Interested in my philanthropic interests? Follow the link for a rundown of my Philanthropic Endeavors -- you might not be surprised, but that's not my fault. I'm still playing around with Python CGI scripts, obviously, but here are my veryearly efforts... Try my Survey, try breaking into my Login System, or just take a peek inside my webserver. I no longer work at Heimdall Linux, Inc. with my four ex-friends, but you can read about part of the adventure here. One of my neglected projects is PuzzleNet, a tool for First Amendment rights. It's still early in the development stage, but you can read about it. We'll see where it leads. Contacting me: Click here to e-mail me.